We already gave you the rundown on requirements for connecting your old DisplayPort and HDMI displays to the new MacBook Pro, and if you need a new monitor now, the best option going forward is probably to go all-in on USB-C. That goes not only for MacBook Pro or 12-inch MacBook users, but also anyone who wants to be future-proofed as Apple moves to Thunderbolt 3 on other devices going forward (most displays have HDMI and/or DisplayPort for your other Macs). With a Thunderbolt 3 or USB-C display, you’ll be able to use a single cable to hook up to your MacBook Pro or 12-inch MacBook, and forgo the need for adapters that will be necessary for other displays. Thunderbolt 3 and USB-C use the same physical connector, but Apple’s Thunderbolt 3 tech offers some perks for MacBook Pro users– 5K! 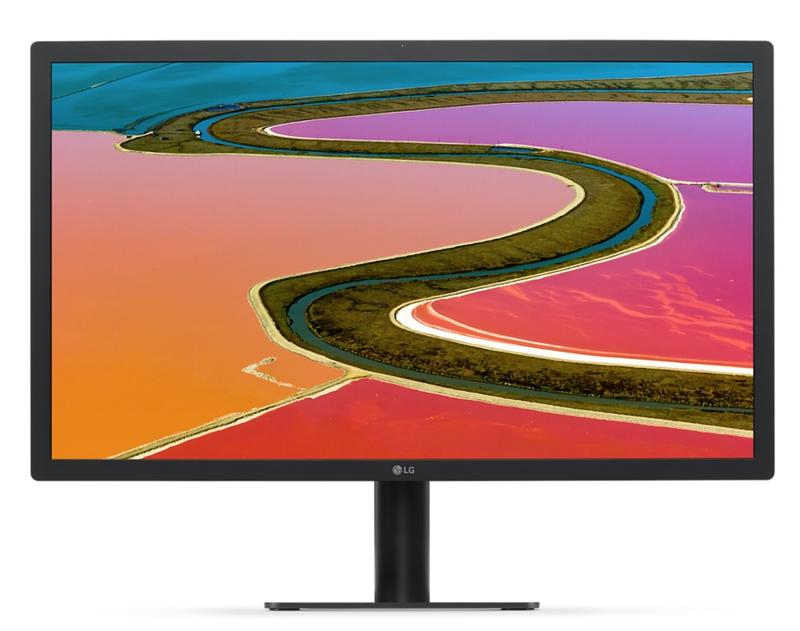 Unveiled alongside the new MacBook Pro late last month, Apple collaborated with LG to make this new 21.5-inch 4K display that includes USB-C for a single cable connection to the new MacBook Pro and the 12-inch MacBook. That means you’re guaranteed compatibility with your new MacBook (Pro), and a recent limited time price drop by Apple (reflected above) means it’s also one of the best priced options on the market. Unlike some of the other options on this list, however, lack of HDMI and DisplayPort means you’ll need adapters for use with older, non-USB-C Macs. It’s available to order now from Apple.com with a 5-6 week shipping estimate currently, but we’ve heard some Apple stores might have stock you can walk in and pick-up now. This is your only Thunderbolt 3 option currently, which is likely why Apple collaborated with LG to make this new 5K display to launch alongside the 2016 MacBook Pros. Apple’s latest version of its Thunderbolt technology, Thunderbolt 3, uses the same physical connector as USB-C, but it offers support for this display’s 27-inch 5120-by-2880 resolution, making it the only 5K monitor you can drive over a single Thunderbolt 3 cable (included). The few other 5K display options on the market will require a dual-cable solution and adapters for use with the new MacBook Pro (and Mac Pro). With the 15-inch MacBook Pro, you can drive of two of these displays, while the 13-inch model will drive a single 5K display. Like the 4K model above, Apple is currently offering limited time discounted pricing until the new year. *Available in December from Apple.com and Apple Stores. One of the highest-rated USB-C, 4K monitors that you can buy right now also comes from LG, the 27-inch ‘27UD88-W’. Currently available around $700 shipped, this monitor is a great alternative to the UltraFine model above if you want something bigger than 21.5-inches but with similar specs. It’s also marketed as a gaming monitor, with LG’s FreeSync tech, Black Stabilizer and Game Mode for a superior gaming experience. And unlike the UltraFine models, it has HDMI and USB 3.0 ports in addition to USB-C. It’s also currently one of the only monitors that the 12-inch MacBook can drive at 4K and 60Hz without a workaround that we know of (although that downgrades the USB ports to 2.0 speeds). Check out our full review for more. Announced last month, this USB-C 4K display from HP is looking like it will be a contender at $499 when it launches December 4. Note the “micro-edge bezel”, which doesn’t look to be that much thinner than LG’s, but impressive nonetheless on a monitor at this price and with overall decent specs. 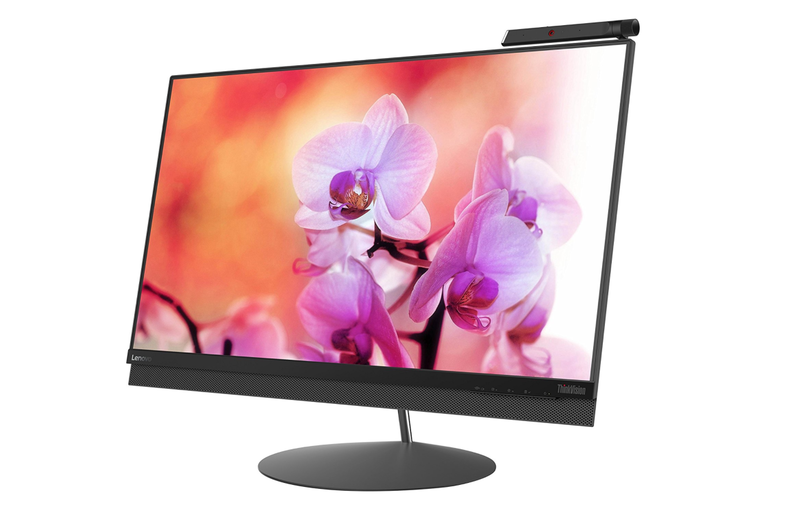 One of the only other USB-C 4K displays available is this new ThinkVision X1 model from Lenovo. At around $600, it has a few noteworthy perks including an FHD camera, built-in microphone and a tilt stand. You’ll also find HDMI2.0 and DP1.2 ports. Buy from Lenovo’s website or Amazon. 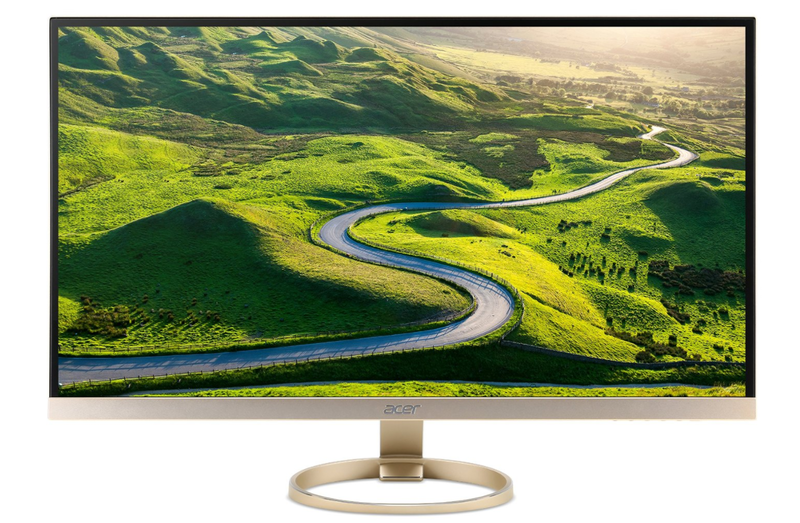 Our runner-up if you can deal with the not-quite-4K resolution (2560 x 1440), is the Acer H277H display. This is maybe a better companion for the 12-inch MacBook, especially considering the gold color option. Want to hook up your old DisplayPort, Mini DisplayPort, or HDMI monitor to the 2016 MacBook Pro or 12-inch MacBook? Check out our MacBook Pro external display support explainer with a breakdown on requirements for adapters and cables.